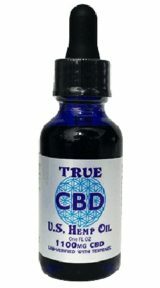 This 1 ounce bottle of True CBD Hemp Oil is a highly potent concentration of hemp oil. 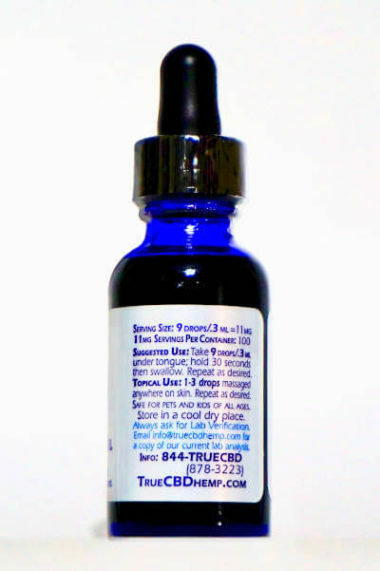 This is not a vape product, it is a dietary supplement and to be used for oral and/or topical applications. All True CBD Hemp Oil is 100% Hemp and always 3rd Party Lab Verified to ensure for purity and potency. 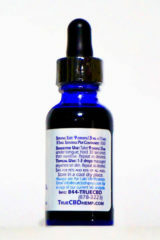 To purchase please call or submit your order and our team will contact you promptly.